*Offer must be booked by December 30, 2016 for stays between November 25 to December 30, 2016. For new bookings only, is subject to availability and based on double occupancy. Offer cannot be combined with any other promotion or discount. Applicable taxes are extra. *Book 21 or more days in advance. Must Pre-Pay at the time of booking. No Cancellations or refunds permitted. Must book a minimum of 3 consecutive nights, free night must be consumed in your stay, it cannot be transferred to another stay. Must book the 3rd Night Free promotional rate plan to take advantage of the offer, not available in conjunction with any other rate plan. Subject to availability at the time of booking. In association with Dakota Dunes, the Saskatoon Inn Stay N’ Play package includes one night standard accommodation, Dakota Dunes Voucher ($20.00 in free play), and free parking. Chocolate Buffet for Two! Enjoy a night out at Saskatoon Inn with the one you love. This package includes everything you need to make the most of a night away. Romance Package is perfect for surprising that special someone. We do all the work for you and include everything to give your stay an extra Romantic touch. 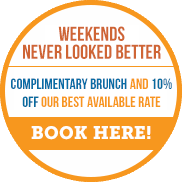 The Best Rates for the Saskatoon Inn are right here! Escape from the everyday and enjoy an exciting getaway at the Saskatoon Inn Hotel & Conference Centre. The best part is, we've done all the planning for you so all you need to do is click and book. Our hotel offers unique packages that feature a variety of options allowing you to choose the one that best suits your interests. Located in the within minutes of the Saskatoon airport and just a short drive from downtown Saskatoon, the Saskatoon Inn is the ideal location for site seeing and shopping. Wherever your plans take you, we'll have a special offer to meet your travel needs. Enhance your stay by including Breakfast from our delicious a la carte menu! It Pays To Plan Ahead - Advance Purchase from $119! Whether it’s time away with a loved one or a family getaway that you need, make a weekend out of it at the Saskatoon Inn & Conference Centre. Take advantage of our special rates on 2-night weekend stays and receive 10% off your room rate. Don't forget to book another reservation for your return stay if you need one! Enjoy something extra during your next Saskatoon Inn stay. Our hotel packages include accommodation in one of our comfortable guestrooms, meals in our prominent hotel restaurant and other unique options to make your stay with us exceptional. Enjoy your time in Saskatoon and stay with the best - Saskatoon Inn Hotel & Conference Centre.